Valentine’s Day is right around the corner. But, instead of going conventional this year, you know the flowers and chocolates, why not get a little bit crafty? It doesn’t matter if you’re just celebrating with your significant other or want to do something fun with the kids. Making a few special Valentine’s Day gifts is a great way to share your love without breaking the bank. In this post, we’ll share some fun crafts you can do that won’t take up too much of your time and help spread the holiday spirit. Get your craft supplies ready! 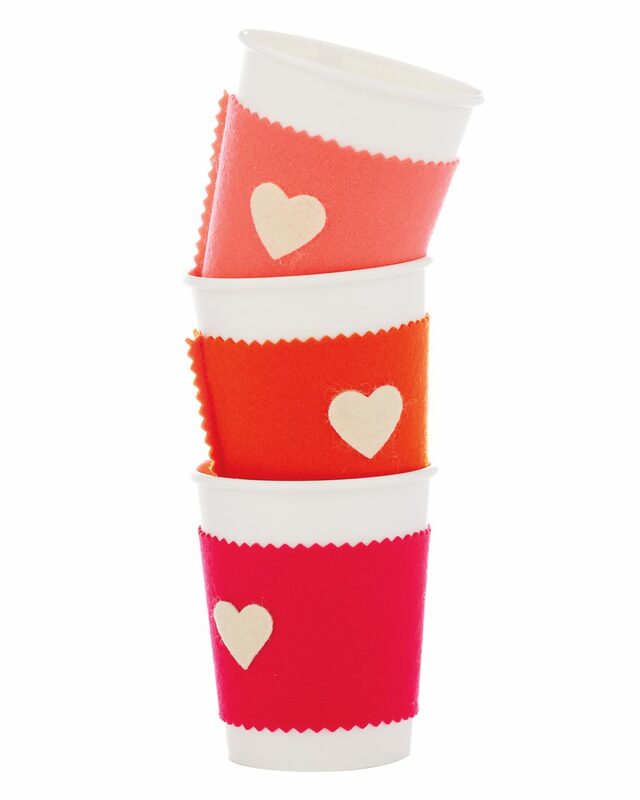 Make sure that your special someone feels the love every morning when they reach for their coffee with this fun and easy coffee cup sleeve. It’s easy to make, just grab a piece of felt, scissors, glue, and needle and thread. Cut your felt so it fits around your cup with a little bit to spare. If you have any fun scissors that make patterns in the felt, feel free to use those too. Next, use your needle and thread (or sewing machine if you have one) to do a line of quick stitches to seal the felt. Finally, cut out a heart (or two) and glue it right to the front of the sleeve and you’re done. Slide it around your coffee cup and it’s the perfect little accessory for breakfast in bed. There are few people in the world who don’t love cookies. So, why not combine these sweet treats with Valentine’s Day and make heart shaped cookies that are super easy to decorate? Start with your favorite recipe for sugar cookies. Or, if you don’t have time, grab a container of cookie dough or slice and bake cookies from the local supermarket. 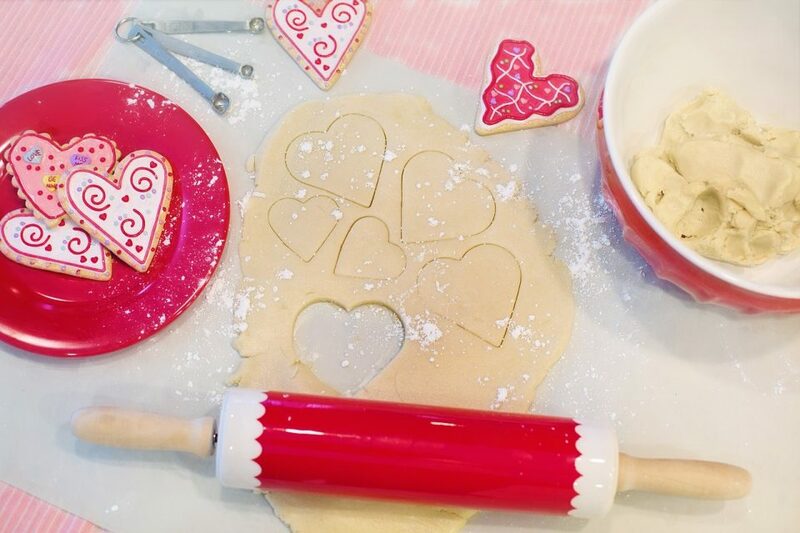 Scoop out your dough and use a heart shaped cookie cutter to shape them then bake. Now, the fun part. Once the cookies are cooled, grab frosting, sprinkles, chocolate, whatever you like and have fun decorating the cookies. Dip them, write little notes, or even create your own special designs. 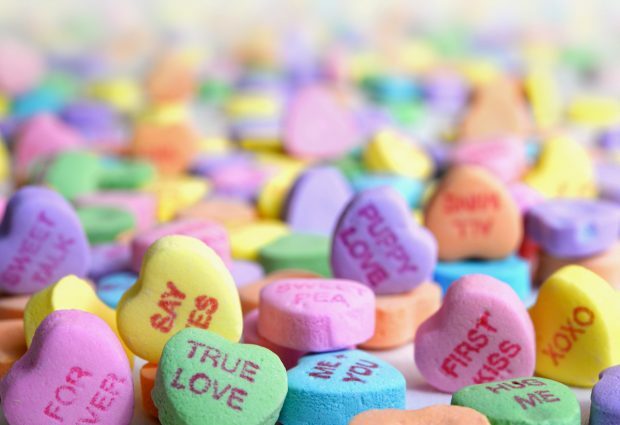 If you’ve ever bought one of those bags of candy hearts, you’ll know you’re going to have a big pile of them left over for weeks to come. Rather than tossing them (or eating piles of stale candy) take a bunch out of the bag and make candy heart garland. This is super simple to make. 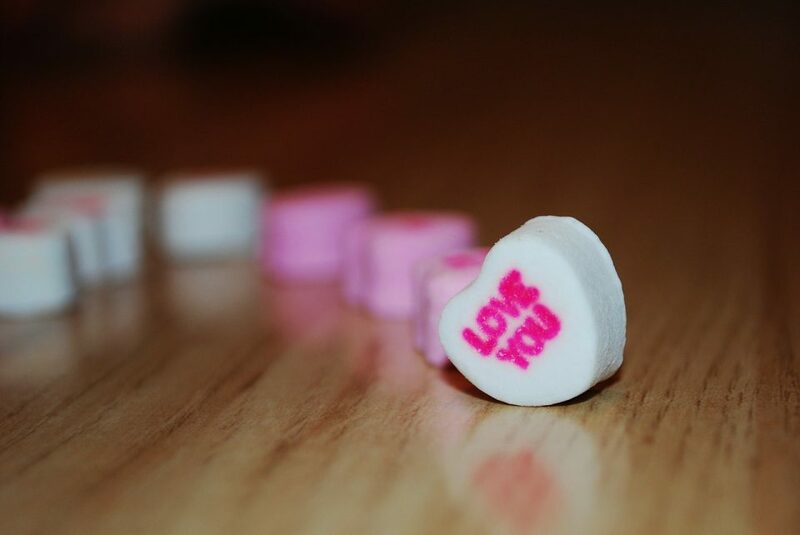 All you need are a bunch of candy hearts, a roll of twine, and a hot glue gun. Lay out your twine, and place a candy heart every 6 inches (you can up spacing to 4 inches if you have a ton), use a little dab of glue to stick the candy to the twine and you’re done. Display the garland up around the house (or the office or classroom if Valentine’s Day is celebrated) for a fun and cute holiday decoration. 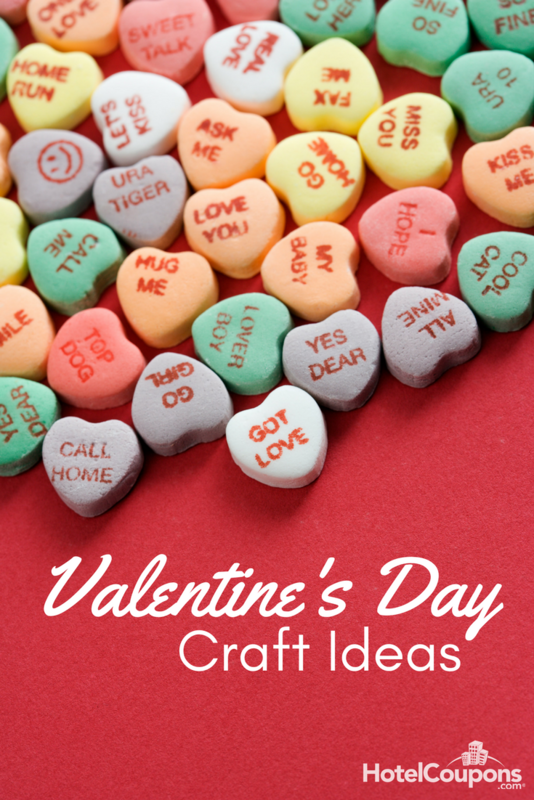 These are just a few quick and easy Valentine’s Day crafts you can try at home. With a little bit of time, you can have lots of fun celebrating in a crafty way!